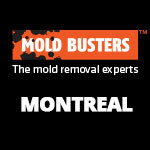 There are over 100,000 described species of mold all over the world. However, many remain undiscovered and researchers estimate that the true number of fungal species ranges between 2.2 and 3.8 million . Almost all of them are vital for the proper function of their ecosystems, while many species can also be dangerous to a person’s health if exposed to them. In this article, we will be reviewing molds of the Chaetomium genus and their effects. Chaetomium molds are commonly found in soil, air, dung, and plant debris. 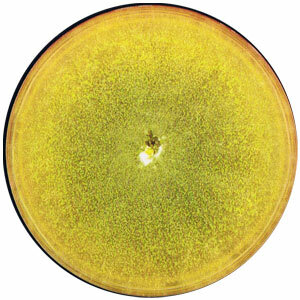 The colonies are initially cottony and white in colour but turn greyish-green as they mature. They grow quickly, feeding off of any materials that contain cellulose such as paper, fabrics and drywall. The most common species include C. atrobrunneum, C. funicola, C. globosum and C. strumarium. Chaetomium molds are highly destructive and can cause infections in humans. However, as with most molds, you can prevent infections with proper cleaning and maintenance of your indoor environment. 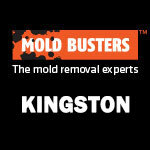 If you discover a mold problem in your home, you should seek professional mold remediation as soon as possible. To prevent the mold from growing back, keep the relative humidity inside your home consistently under 50%. Chaetomium is a genus of dangerous molds that are commonly found in soil, compost, dung, air, and plant debris. They are characterized by a strong dusty smell and they thrive in water damaged building materials. There are over 90 recognized species of Chaetomium, several of which have been reported to be allergenic or pathogenic. The most commonly occurring species are C. atrobrunneum, C. funicola, C. globosum, and C. strumarium. How does Chaetomium mold appear? Chaetomium are common species of fungi with an ever-present worldwide distribution. Its colonies tend to grow rapidly and have a cotton-like appearance with white colour in its early stages. 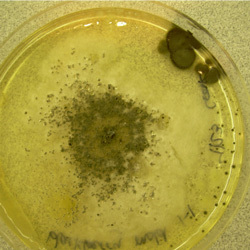 Colonies that become mature turn from white to grey to olive in colour. Similar to other molds, Chaetomium sp. reproduces by dispersal of airborne spores. Once these spores land in a suitable environment they quickly germinate and begin to develop into a colony. 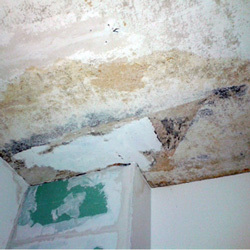 Indoor mold colonies are likely to appear in damp and humid areas or areas that have previously suffered water damage. They grow well on cellulose containing materials, such as drywall, wallpaper and wood. The temperature they can grow at depends on the species, but ranges from 15°C to 55°C. Most species develop optimally between 25°C and 35°C. They require a water activity above 0.90 . Chaetomium is found in various substances that contain cellulose such as plant compost and paper. 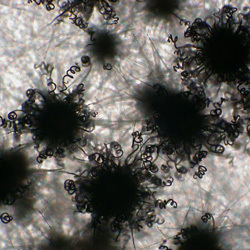 Several species of this mold have been reported to play a key role in the decomposition of materials made of cellulose. These fungi can easily dissolve the cellulose fibers contained in materials such as paper and cotton and thus lead to the breaking apart of the materials themselves. This process is even faster under slightly wet conditions. Chaetomium molds can produce several mycotoxins, including sterigmatocystin, O-methylsterigmatocystin, chaetochromin, chaetocin, chetomin, cochliodinols, and mollicellin G . Many of these compounds have been reported to have teratogenic and carcinogenic effects. Not much is known about Chaetomium mycotoxicosis in humans, but animal studies have shown that contaminated cereals are extremely toxic and potentially fatal when fed to animals [5, 6]. Furthermore, a mouse model has shown that Chaetomium extracts are toxic to the spleen, liver and kidneys . Although Chaetomium sp. is indeed toxic, it still ranks second or third when compared to other toxic molds such as Aspergillus or Stachybotrys. Where can you find Chaetomium mold in the house? In houses, Chaetomium molds are mostly found in areas that have been damaged by water such as a damp or leaking roof, a damp basement, leaky pipes, or areas around the sink. It can also be found in the outdoor areas of homes, growing on soil, decaying plant matter, or animal dung. It is more common indoors than outdoors and can be recognized by its musty smell and distinctive colouration. Unfortunately, it is very difficult to identify any type of mold by using sight alone. 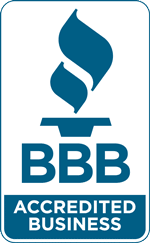 If you suspect you have a hazardous mold in your home, it may be a good idea to hire certified mold professionals such as Mold Busters to ensure its complete removal. If tests reveal that you have Chaetomium mold growing in your house, it usually means that you have a chronic moisture issue in your home. In order to make your home safe again, you will need to determine where the excessive moisture is originating from and fix it in addition to removing the mold. The good thing about hiring a mold removal expert is that we will help you every step of the way and ensure that this is done properly so that no mold can regenerate. What are Chaetomium mold health effects? Many types of mold, including Chaetomium molds, can lead to negative health effects if not dealt with on time. Problems usually occur due to an excessive concentration of fungal spores in the surrounding air. Chaetomium sp. is reported to be allergenic and several species have been associated with hay fever, asthma, and allergic sinusitis . Chaetomium molds are often the cause of skin and nail infections (onychomycosis) . C. globosum and C. atrobrunneum have been known to cause pulmonary mycosis, severe brain abscesses and fatal cerebral infections. However, these cases occurred in immunocompromised patients and intravenous drug users . There is also evidence suggesting that exposure to Chaetomium molds may increase the risk of permanent neurological damage of the myelin sheath. This is also why autoimmune diseases such as lupus and multiple sclerosis have also been linked to the exposure of Chaetomium mold . In some cases, it can produce mycotoxins which can be very dangerous if ingested in considerable amounts. What are Chaetomium mold symptoms? Symptoms that result from Chaetomium exposure depend on the organs that have been affected. Symptoms of respiratory issues related to Chaetomium include coughing, cold and flu symptoms and rhinitis. Symptoms of severe internal infections may include memory loss, balance issues, nose bleeds, dermatitis, acid reflux, headaches, seizures, internal lesions, fever, and general malaise. Symptoms of onychomycosis are more visible and include the thickening and discoloration of the nails, which can also make them become brittle or crumble easily. The area around the nail may also be tender or painful and there may also be an unpleasant smell. How to remove Chaetomium mold? 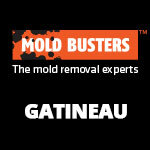 Chaetomium molds can be very hazardous to your health and therefore need to be removed as soon as possible. The longer the mold remains in your house the more likely it will spread to other locations thereby making cleanup more extensive and expensive. More importantly, the longer you share your living space with the mold, the more likely you or your family members will start to experience health issues related to Chaetomium exposure. Chaetomium molds tend to grow in places that are difficult to see such as inside walls, under carpets, and inside air conditioning ducts. In order to ensure that fungal colonies are located and removed from all areas, the best thing to do is to call a mold removal expert to inspect your home. An experienced mold removal professional will locate all the areas in your home that contain mold and correctly advise you on what needs to be done next. Additionally, our experts can answer any other questions you may have about mold and also give you an estimate of how much it will cost to have the mold in your home professionally removed. Chaetomium is a group of toxic of molds that needs to be removed as soon as possible. Additionally, once the mold has been removed, the cause of excessive moisture in your home needs to be identified and corrected as soon as possible. 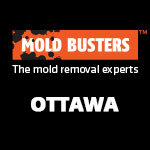 A mold removal expert can also help you with finding the cause of excess moisture in your home. Places where you are likely to find excess moisture include the areas under sinks and toilets, around water appliances such as dishwashers and washing machines, and leaky roofs. As removing the mold yourself can prove to be a difficult task, we highly recommend hiring a mold removal expert to get the job done completely. Hawksworth DL, Lücking R (2017). Fungal Diversity Revisited: 2.2 to 3.8 Million Species. Microbiol Spectr. 5(4). d’Halewyn MA, Chevalier P (2019). Chaetomium spp. Retrieved from here. Sekita S, Yoshihira K, Natori S, Udagawa S, Muroi T, Sugiyama Y, Kurata H, Umeda M. (1981) Mycotoxin production by Chaetomium spp. and related fungi. 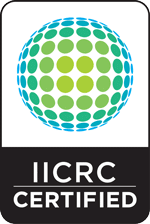 Can J Microbiol. 27(8):766-72. Manning RO, Wyatt RD (1984). Comparative toxicity of Chaetomium contaminated corn and various chemical forms of oosporein in broiler chicks. Poult Sci. 63(2): 251-259. Christensen CM, Nelson GH, Mirocha CJ, Bates F, Dorworth CE (1966). Toxicity to rats of corn invaded by Chaetomium globosum. Appl Microbiol. 14(5): 774-777. Gupta J, Pathak B, Sethi N, Vora VC (1981). Histopathology of Mycotoxicosis produced in Swiss albino mice by metabolites of some fungal isolates. Appl Environ Microbiol. 41(3): 752-757. Burge HA (1985). Fungus allergens. Clin Rev Allergy. 3(3): 319-329. Stiller MJ, Rosenthal S, Summerbell RC, Pollack J, Chan A (1992). Onychomycosis of the toenails caused by Chaetomium globosum. J Am Acad Dermatol. 26(5/1): 775-776. Howard DH (2003). Pathogenic Fungi in Humans and Animals. Marcel Dekker, New York. pp 652-654. Lillard S (2004). Chaetomium. Retrieved from here.